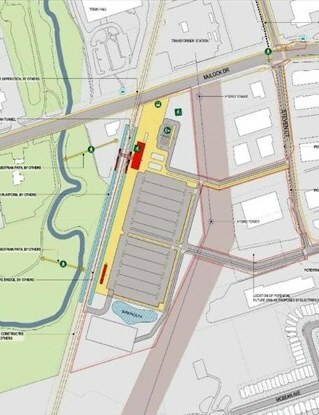 One of the most important files at the Town of Newmarket for the next term in office is the proposed new Mulock GO station. In June 2016 the Town was thrilled to be able to participate in the announcement of the New GO Station to be located on the south side of Mulock Drive beside the tracks. To put it simply this was a big win for the Town. Not only will the town receive another highly coveted GO train station but it will receive enhanced GO parking taking pressure of the Davis and Wellington stations. We will also see new investment over time in the residential, retail, and office space along the Mulock Corridor as a result of the transit investment. We now know that 15 minute (all-day) service is not currently proposed at the Mulock station and we know that Mulock’s overall Metolinx business case as presented revealed some challenges. We continue to work to ensure the Mulock Station continues to stay on the ‘approved list’ and that 15 minute service is considered fully. To this end the Mayor and I, in 2018, along with staff met at Queen’s Park with Chief Planner Leslie Woo, the MPP, and other senior Metrolinx staff to again present our strongest case. The meeting went well and our points were heard. Furthermore Council passed a report that was forwarded to Metrolinx which addressed the business case issues and explained the significant potential this station has for success. The final Metolinx business case is expected in mid to late 2018 at which point we hope the Mulock Station is given full and final approval. I plan to work closely with our new Member of Provincial Parliament Christine Elliot to ensure the Mulock Station and additional parking becomes a reality.